In addition to the emotional complexities that may apply to a particular divorce or family law case, part of the stress of going through any type of family case also comes from not knowing what to do and what not to do and from not knowing how the Florida Divorce Laws and the other family laws may apply to your case. And naturally, the well being of your children and your future are of major concern. All of this can make you feel overwhelmed, especially if you have not consulted in depth with a divorce lawyer and family law attorney like attorney Acevedo. We can help you. * We will go over all of the divorce or family law issues that are of concern to you with you; our consultations are one full hour to give us enough time to do exactly that. You should not have to face a divorce or family law situation alone and without the legal advice and help of an experienced divorce lawyer and family law attorney like attorney Acevedo. You should know what steps you should take and what steps you need to avoid based on your and your family's individual circumstances to maximize your chances of a positive outcome. Call attorney Acevedo today to schedule your one hour and in person confidential divorce or family law consultation and to learn more about how the family laws may apply to you. The vast majority of couples who enter into a marriage do so with the idea that they will make a life together. Naturally, there are compromises and sacrifices along the way. And some sacrifices are significant. However, those compromises and sacrifices are typically done out of love, for the good of the family, and with the deserved expectation that the couple will remain together. Unfortunately, couples sometimes grow apart. Although there are many different reasons why couples end up in divorce, the sad reality is that divorce is almost always painful. And sometimes, because of the compromises and sacrifices that were made during the marriage, the pain is accompanied by regret, anger, frustration, and other emotions. 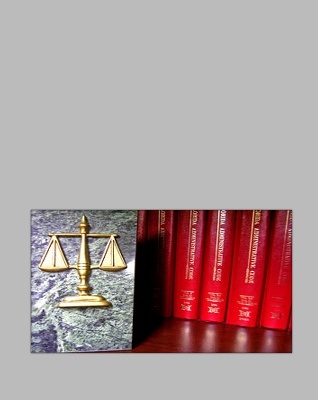 As your family law attorney, attorney Acevedo will also help you deal as effectively as possible with the other side. And, if in your case it is not feasible or productive for you to communicate directly with the other side, he will take care of all the legal communications on your behalf. As your Volusia and Seminole County family lawyer, attorney Acevedo will do everything he can to help resolve your divorce, child custody, visitation, alimony, child support, or other matter in the most reasonable manner possible given your individual situation. He will also help resolve your family law case as quickly as your circumstances will allow while making sure that your rights are protected. El abogado le ofrece servicios legales a la comunidad de los Condados de Seminole y Volusia y el abogado Acevedo lo puede asistir con la preparación de su caso de familia. Si usted necesita ayuda con su caso de divorcio, custodia de menores, visitas, pensión, o cualquier otro tipo de caso de familia, llegó al sitio corecto. Llame al abogado Acevedo hoy y cordine su cita con un abogado de divorcio y de familia, experimentado y conocedor del derecho, que habla su idioma. Copyright © 2011-2014 Law Offices of J. Manuel Acevedo, P.A. Some family law related matters can be just as stressful as going through a divorce because some family law matters involve the same issues. Family law matters involve Florida child custody laws, visitation, paternity, Florida child support laws, juvenile dependency issues, and others. Family law matters also include issues that come up regardless of whether a couple who has children was married or not. Some of these family law issues include child custody modifications, child support modifications, and temporary custody changes due to circumstances beyond a parent's control. Having attorney Acevedo as your family law attorney can make all the difference. * We will outline the best course of action for you based on the specific circumstances of your family law situation. * We will schedule your divorce or family law consultation for the same day you call, if possible. Needless to say, going through a divorce in Florida, or anywhere, can be incredibly stressful. Having a divorce attorney that always keeps this in mind can better help you get through the legal aspects of your divorce and can make all the difference.